Turns out Microsoft is offering a knack to legally download Windows 10 Pro and Home edition’s ISO file (Could be made bootable) without a product key from their official website. Microsoft doesn’t come up with plenty of options to get you a Windows 10 ISO file, but the one out there is enough to experience the most demanded OS ever developed by the Microsoft. As we all know that the Microsoft’s all time favorite offer where a free upgrade to Windows 10 from Windows 8 or Windows 7 for official license holders was possible has ended last July, 2016, so the OS enthusiasts are left with not much options to get deployed with the copy of said operating system. Nevertheless, the special offer isn’t the sole way to enjoy the brand new OS and there exists another official way to grab your copy of Windows 10 in ISO file, directly from the Microsoft, even if you don’t have that product key. The disc image file may be downloaded to a USB or local hard drive and made bootable later on by burning it on a DVD with any disc burning utility. Although the procedure to do so is pretty obvious and self-evident, but for the sake of more clear understanding, a step-wise procedure is mentioned below, which is to be followed accordingly. But before it could be started, let’s check on, what’s the best utility of getting the said OS this way, well probably you wanted to keep that copy for deploying it on multiple machines or for the same PC, if ever required in future, in short it saves you a lot of time from downloading the content again and again, especially when it feels hectic on slower connections. Did you ever know that there are variety of ways to Get Windows 10 Legally For Free In 2017. Even for those how have already availed the free upgrade offer may in case where they have lost the core OS files or got corrupted, may get the ISO file by following a intelligible procedure without regarding whether they are on Windows 7, 8 or 8.1. Further the non-licensed users may also get this “Image Standard Optical”, because as far as downloading the copy is concerned, no proper licensing on the product is a requirement. So in fact the facility to download the product is a tempting one and is on for everyone regardless of the availability of the license key at the first instance. But the scenario above doesn’t signify that you don’t need properly purchased license or digital license to enjoy the fully featured Windows 10, but it’s in fact the other way around, a license purchasing is mandatory to activate the Windows and to resume the essential services. Where to Download Windows 10 ISO From….??? 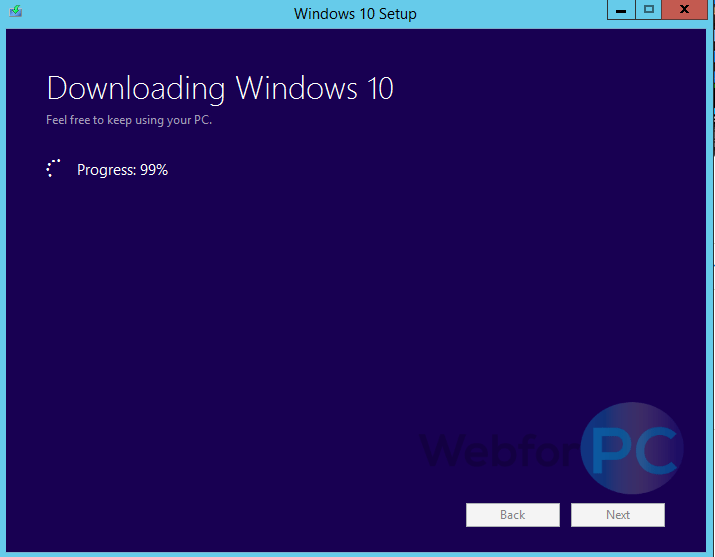 First Step: Download Windows 10 (Microsoft.Com). Click the “Download Tool Now” button and the installation would be started straightaway. 17.5 Mb’s is the total file size downloaded in the first step. Remember at this stage, no valid product key is a requirement and anyone is free to get this tool by following the step mentioned, but for installation, product’s serial is a requirement to experience uninterrupted functionalities. Second Step: Double click the “Media Creation Tool” and “Accept” on Microsoft’s Applicable Notices and License Terms. Next, is about what you want to achieve with this creation tool, whether want to upgrade the existing OS or to create a media which can be made bootable later on to do the clean OS install on a new machine. 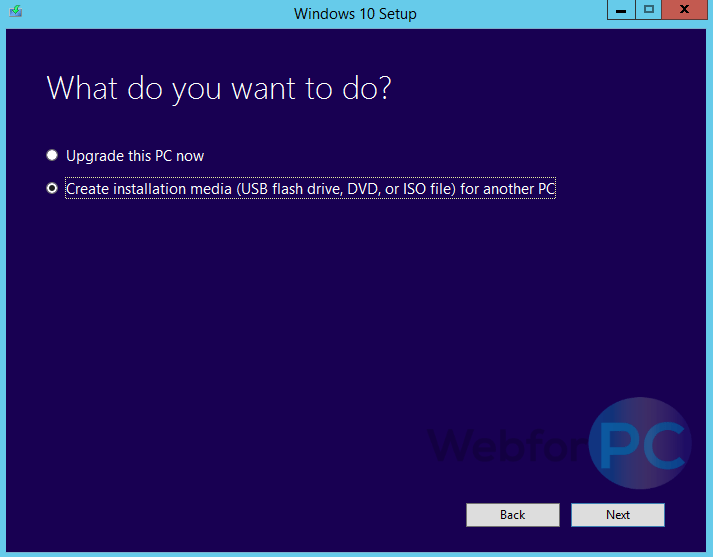 Third Step: Have a check mark on “Create Installation Media (USB flash drive, DVD, or ISO file) for another PC”. On the very next screen some particulars regarding the OS will be asked, including the Language (Windows 10 is currently being offered in 38 different languages), Edition including Pro, Home and N Edition and Architecture information. For system architecture, simplest solution is to check for the current OS through the properties of “My Computer” whether its 64-Bit or 32-Bit, written under the “system type”, next proceed with the same architecture or choose different if you intend to install the OS on a machine bearing different system. 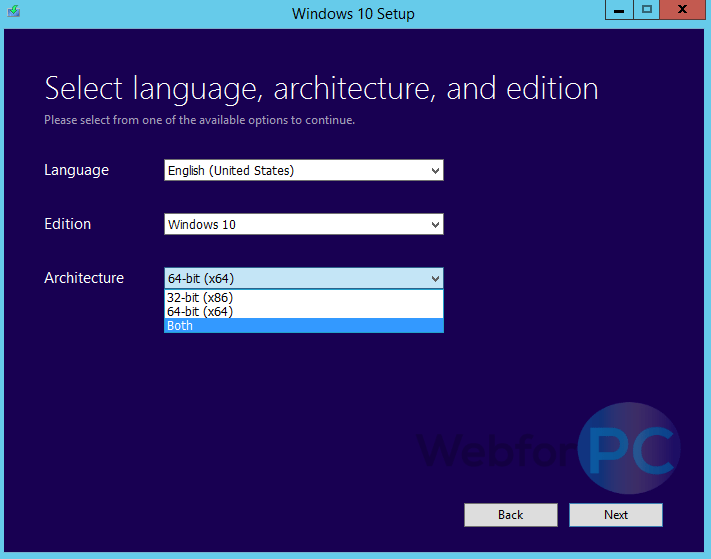 Fourth Step: Select “Language”, Edition, System Architecture and Proceed with the “Next” option. Through the architecture selection menu, one may create an ISO file even for both type of systems, all it required a click on “Both” instead x86 or x64. Now there will be provided two different options to create a media rich devices for you. First, whether to go for a USB flash drive (minimum 4 GB is a requirement, as the ISO is going to be around 3.40 GB) download or choose an ISO file check mark, where you’ll be needing to burn that ISO file to a DVD through a disc burning program. 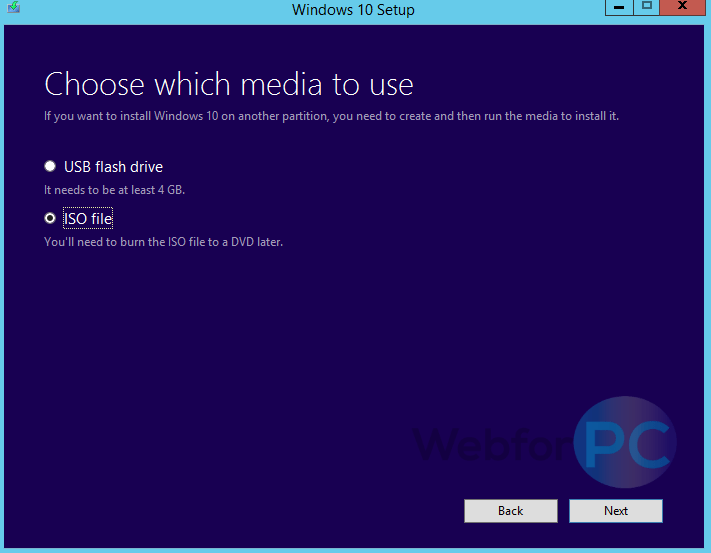 Fifth Step: Choose the “ISO file” as a “Media Type” and move to the next screen. As you hit the next, prompt will be there to choose the location for the file to be saved on local hard drive, further there is another option to burn the content on a DVD if there is existing a DVD burner, then to choose the appropriate option and click next. Either the media could be burnt on the media type specified or gets downloaded on the location saved, previously. The progress bar will be there which will at the first instance, download the content, will verify the download and finally the media for Windows 10 will be created, which on completion, be available on the desktop in ISO format. Computerizing Windows 10 is undoubtedly easy, all it required is a little knowledge of burning the disc’s and also an idea that what that media is intended to be used for. This simple tool by Microsoft is super easy to use and is oriented to be self-explanatory in the way, further it can be downloaded on any PC running Windows 7, 8 or 8.1, even i have just tested and downloaded the disc image file on Windows server 2012. The options are your’s that where you want this download to be saved on, it may be a flash drive with enough space or on local Computer to create a ready to boot operating system by burning the media so downloaded on a DVD. The ISO file so downloaded, after being burnt in on a DVD, is ready to be used on many devices without any constraint, but a valid license key is a “must to have” credential to enjoy the hassle free experience of this most modern operating system.